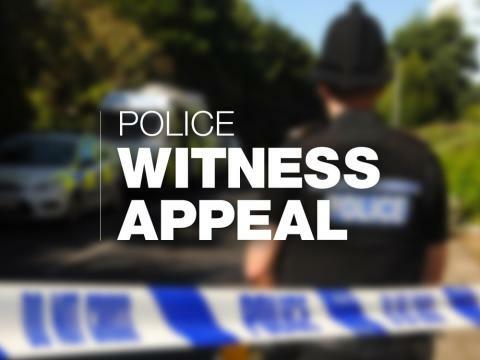 The victim reported that shortly before 2am she spoke to a man she did not know outside Gosport Museum on the High Street. Both pedestrians were walking in the direction of the bus and ferry terminal. A short time later the man assaulted the victim in the alleyway next to Reflex Records. The woman was not seriously hurt and was left with cuts and grazes to her hand. He had blonde straight spiky hair worn over his ears. He was wearing glasses with think lenses. He had facial hair, or a full moustache, over his lip. He was wearing beige or light brown clothing. Investigating officer DC Martin Alderton said: “I’m keen to speak to anyone who saw the man and woman speaking to each other, or who saw what happened. Do you recognise the description of this man? The victim reported that the man may have been left with scratches to his face following the assault. Please call us on 101 to assist our enquiries. “Officers from the Neighbourhood Policing Team will be patrolling the area and we are reviewing CCTV today. However I’m keen to remind people to remain vigilant, and to be on the lookout for this man, ahead of the weekend if you are likely to be in this area late at night”. We’d like to take this opportunity to remind people of the following advice to help stay safe when on a night out. Where possible use public transport or use a designated driver, who isn’t drinking alcohol, to get you to and from any venue you go to. When walking stick only too well lit areas with plenty of other people about. Go with friends and try and make sure you stay together. Anyone with information should call 101 quoting 44190099517.